This young lady is the person responsible for Ringo's amazing blingy peace signs shirt. 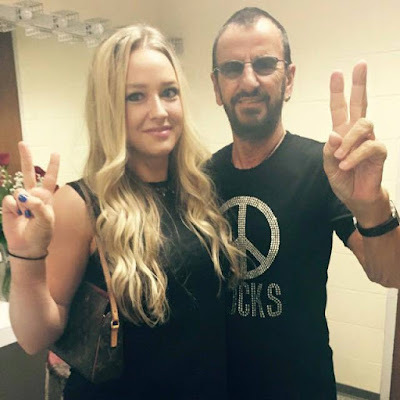 She got to meet Ringo briefly backstage. Lucky girl!